Astronomers agree that there are trillions, maybe quadrillions of stars. They further agree that many of these stars have planets circling them. Billions of these planets enjoy conditions capable of sustaining life as we know it (These are called “Goldilocks” planets). Probability suggests that at least some of these may, in fact contain life. After all, there’s some form of life almost everywhere on earth no matter how harsh the conditions, from the ice in Antarctica to the deepest trenches of the oceans. Adding the fact that many of these stars have existed for billions of years, it’s almost a certainty that a few of them do contain advanced intelligent life. If such life exists, then it’s probable that some of them may have landed here on earth (and before 1947). Shakespeare was right when Hamlet told Horatio “There are more things in heaven and earth … than are dreamt of in your philosophy”. I’ve always been a bit agnostic about UFOs and ETs. However, when, I look at the numbers, I find that an astronomical number of stars in an astronomical number of galaxies, (pun intended) and a lesser number, though still astronomical, of stars with planets tilts the probability that ETs exist toward “yes”. Carrying this further, If there are any forms of intelligent life out there, considering the enormous number of Goldilocks planets, the numbers are not likely to be small. Thus, the odds are that intelligent life exists all over the place, and that some of that life may be visiting Earth. Some of them may have interacted with some of us. Some may even be living here. There always remains the possibility that Genesis had it right. However, in an October 27, 2014 statement by Pope Francis, he said that extraterrestrials can be part of the plans of “God the creator” in the evolutionary process. Betty and Barney Hill didn’t write a book, but at least 2 were written about them: “Captured“ and “Interrupted Journey”. In his book “Communion”, Whitley Strieber asserts that he was abducted by non-human beings he calls “visitors”. I actually know one of the participants in the “Allagash Abduction”. Up until recently, he lived in Wardsboro. The incident was the subject of a book by Raymond Fowler. It was also dramatized in an episode of Unsolved Mysteries and featured in the TV program Abducted by UFOs. If my friend profited, it was not visible. The last time I saw him, he told me he wasn’t sure it ever happened. Eduard Albert “Billy” Meier is a Swiss guy who has accumulated a large collection of photographs showing alleged spaceships that he calls “beamships”. He also reports regular contacts with extraterrestrials who he calls the Plejaren and who, he claims, look similar in appearance to humans. He has published over 40 books including the photos in “Through Space and Time: A Photo Journal of “Billy” Eduard Albert Meier”. (I can’t verify that Meier’s claims are legitimate, only that they are numerous). There are also a number of reports by pilots, both military and commercial, of UFO sightings from aircraft. Some of these are quite detailed. Recently, I became aware of some incidents involving elements of the US Government, specifically the Department of Defense. These incidents were covered up under Military “Classification” for over 30 years. Some of the individuals involved are now coming forth via the Freedom of Information Act and telling their stories. These men (they’re all men) are bona-fide retired Officers and Enlisted Personnel who were on active duty, doing their jobs when the incidents occurred. They are trustworthy witnesses, and can’t be accused of profiting. At the time of the events, they were placed under orders to remain silent and some were actually threatened. For the record, a UFO or Unidentified Flying Object is any real or apparent flying object which cannot be identified by the observer and which remains unidentified after investigation. In popular culture throughout the world, UFO is commonly used to refer to any hypothetical alien spacecraft but the term flying saucer is also regularly used. 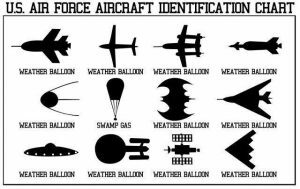 Once a UFO is identified as a known object (for example an aircraft or weather balloon), it ceases to be a UFO and becomes an identified object. In such cases it is inaccurate to continue to use the acronym UFO to describe the object. A more accurate term would be Unusual Aerial Phenomenon (UAP). Sightings of unusual aerial phenomena date back to ancient times, but reports of UFO sightings started becoming more common after the first widely publicized U.S. sighting in 1947. Many tens of thousands of such claimed observations have since been reported worldwide, and it is very likely many more go unreported due to fear of public ridicule because of the Social stigma created around the UFO topic. According to a report by The United Nations, since 1947 more than 150 million people have been witnesses to UAP Activities throughout the world. More than 20,000 of those have been documented landings! In Canada, 10% of the population has witnessed Unusual Aerial Phenomena. According to MUFON (Mutual UFO Network), approximately, 70,000 UAP Reports are filed every year globally. It is estimated that only one out of ten witnesses actually file a report. A Roper poll conducted in the United States reported that 70% of the U.S. population believes that the government is not telling the public everything it knows about UAPs. I surmise governments stopped funding UAP Research, publicly anyway, because the phenomenon appears to display some unknown, cutting edge, high technology energy or even some unknown forms of life, which seems to be beyond our technology and human comprehension. UAPs are tracked coming and going in our airspace at will, and there is absolutely no power on Earth that can do anything about these Intrusions. If this knowledge were in the public domain, would it destabilize our civilization, undermine the petrodollar, compromise the fossil fueled, global financial infrastructure and revolutionize or totally metamorphose our world as we know it ? to know that I am not the only space alien. Possibly more scary than aliens.... no aliens. If this is true, lots of our outer space movies and TV shows are very silly. : ) It also implies that any plans to “find another suitable planet” are wastes of time and energy. If Grotke is right, it will be virtually impossible for me to ever find my way back to my own planet. I arrive on Earth so long ago and when I was so little that I have no idea how I even got here. He has a plan to build a Mars colony. We can certainly get spacecraft there. That’s been done. It’s getting people there, and back, that is a stumbling block. Regular humans, especially the types that can pony up the $200k ticket price, aren’t made for 80 days of cramped weightlessness. Imagine 80 days without a personal assistant, hair stylist, and other associates. No cell service? What will they do, poor things? It WILL be fun to watch billionaires leave the planet, though. We should encourage them all to go and leave us alone. Imagine if Musk and others spent all this time and money on making lives better on Earth where humans are well suited for life.